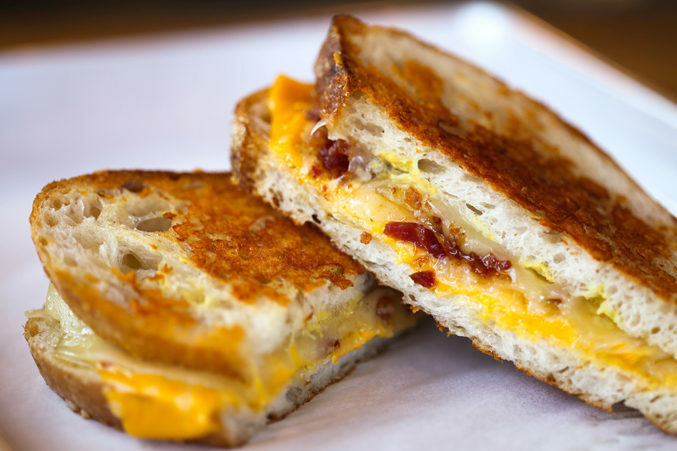 The old Book Doctor space at 310 W 7th St. is now a rustic-chic grilled cheese restaurant, aptly named Dallas Grilled Cheese Company. The dining room, which is adorned in wood paneling and steel, is the work of Gary Buckner of STASH (who has done work for Stampede 66, Chicken Scratch, Oddfellows, and more).There are 16 different cheese-filled sandwiches to choose from. Highlights include the Corleone with capicola, Genoa salami, pepperoni, sliced mozzarella, provolone, red pepper relish, lettuce, tomato, and red onion on grilled sourdough; the reuben with house-made Russian dressing, sauerkraut, corned beef, Swiss cheese, on grilled rye; and the Grilled PB&J with peanut butter, cream cheese, and a choice of grape or strawberry jam.